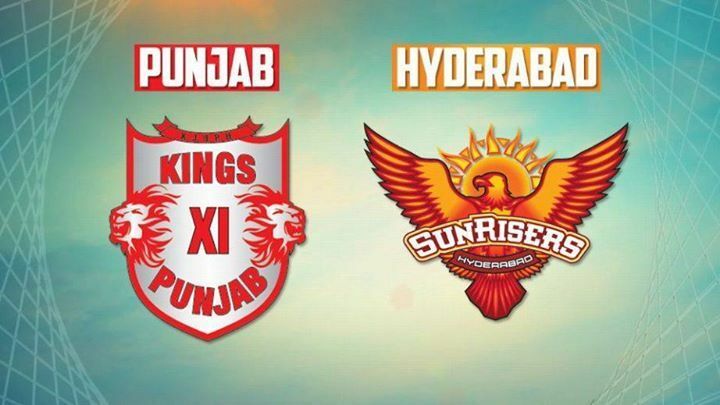 The 16th match of IPL 2018, going to be played between Kings XI Punjab and Sunrisers Hyderabad is going to be a very interesting match with both the teams struggling to secure apposition in the list of top4. The match is going to be streamed on the Star network, you can even watch the live match online at Hotstar and JIoTV. Along with watching the match you can even earn money by playing the match predictions on JioTv. There is no negative score, either you win or don’t win there is nothing for you to lose. So, watch as well as earn, Double Fun! Double Dhamaaka!!! Weather forecast- It is going to be a pleasant evening in Mohali with no sign of rain and humidity being low at around 27%. Pitch report- The pitch is going to be relatively dry benefitting the batsman. There are chances of dew in the later half of the match. So, the team batting first is going to be on the better side. KXIP squad for today’s match- Lokesh Rahul (wicket keeper), Ravichandran Ashwin (captain), Mayank Agarwal, Aaron Finch, Yuvraj Singh, Karun Nair, Marcus Stoinis, Axar Patel, Andrew Tye, Mohit Sharma, Mujeeb Ur Rahman, Chris Gayle, David Miller, Ankit Rajpoot, Manoj Tiwary, Barinder Sran, Akshdeep Nath, Ben Dwarshuis, Pradeep Sahu, and Manzoor Dar. SRH squad for today’s match- Kane Williamson(Captain), Manish Pandey, Carlos Brathwaite, Yusuf Pathan, Wriddhiman Saha, Rashid Khan, Bhuvneshwar Kumar, Shikhar Dhawan, Shakib Al Hasan, Ricky Bhui, Deepak Hooda, Siddarth Kaul, T Natarajan, Tanmay Agarwal, Shreevats Goswami, Bipul Sharma, Mehdi Hasan, and Alex Hales, Mohammad Nabi, Basil Thampi, K Khaleel Ahmed, Sandeep Sharma, Sachin Baby, Chris Jordan, Billy Stanlake. The spinning sensations of both the teams, Mujeeb Ur Rahman of KXIP and Rashid Khan of SRH will be the highlight of today’s match. Both the teams have played 3 matches in the league with SRH winning all of them and KXIP giving a tuft competition and after their last win against CSK it is sure this time it won’t be easy for SRH players. KXIP players are emerging as warriors with each match. Predicted score- As said above the team batting first will be on the beneficial side. Thus, if KXIP bats first, the predicted score is 170+ with KL Rahul and Mayank Agarwal being in form and the Gayle storm which we got to saw in the last match against CSK. If SRH are to bat first, then the predicted score is 180+ with their 3 fabulous batsman line up who have chased in all the matches yet- Shikhar Dhawan, Wriddhiman Saha and the captain himself Kane Williamson.